Underpinning Melbourne provide professional Underpinning, restumping, Re-blocking & Stabilising the foundations services in Melbourne. 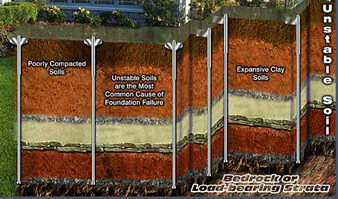 Call 1300 768 533 to book home underpinning inspections in Melbourne. Welcome to First Choice Underpinning – the one place in Melbourne where you can find most affordable solutions for all underpinning problems. By hiring the most experienced, licensed, and certified underpinners we give our customers the assurance that they have come to the right place. 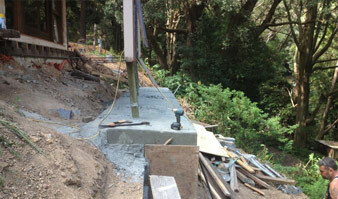 We have been fixing foundation related issues for more than two decades in Melbourne with guaranteed results. 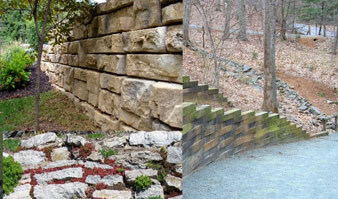 Our motto is simple – give a rock solid foundation to your building for your peace of mind. Here is a glimpse of services that we offer at First Choice Underpinning Melbourne. At First Choice Underpinning Melbourne our aim is to make every building in Melbourne stronger, sturdier, and firmer and we do this by giving a solid foundation and a stable structure to each building. The strength of any building gets affected over time, especially if it is made of brick veneer walls and concrete slabs. Usually what happens is this – the alignment of the brick veneer loosens and causes cracks in the slabs. For best underpinning results we support the sinking or cracked slabs with heavy jacks and then use concrete for brick alignment. This enhances the strength and stability of the foundation. Did you know that moisture and salt can lead to fatal damages to any building? Yes, it can and it is known as salt damp. Salt damp is easily recognizable through gassy plaster, pungent odour, failing mortar, and bubbly paint. You can get exceptional salt damp removal solutions for domestic as well as commercial buildings at First Choice Underpinning Melbourne. 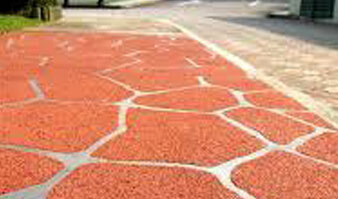 We use plastic dampcourse in the building that protects the building from any salt damp in future. This dampcourse is used as the foundation to build the wall again. This simple process enables you to get the wall painted as soon as the plastic dampcourse is placed. You can get completely new floors with our affordable floor replacement services from First Choice Underpinning anywhere in Melbourne. We use advanced tools and finest flooring strategies to give a new look to your office/home with new floors. Also check out the exciting offers on our floor stain removal and floor recoating services! 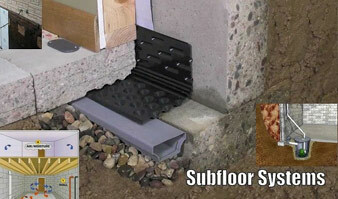 First Choice Underpinning Melbourne offers latest subfloor installation and repairing services too. Subfloor repairing is required when there is some kind of damage underneath the tiles or floors. We use processed wood for subfloor repairing. And if you wish then we can replace the existing subfloors with new ones. Got a crack in a wall? Call First Choice Underpinning and we will fix it without any mess. Leaking taps, poor construction, unexpected weather scenarios, and neglected plumbing problems can cause a crack to appear in your beautiful walls. These cracks not just mar the beauty of your office/home but can also be dangerous. You MUST fix them as soon as possible and the easiest way to do so is to choose the first choice of Melbourne – First Choice Underpinning! 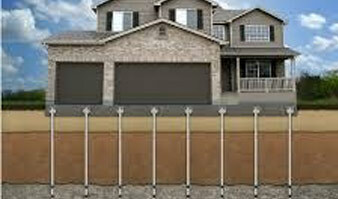 Why Choose Our Underpinning Contractors in Melbourne? First Choice Underpinning Brisbane has served thousands of homes and offices in Melbourne till date. We are locals here and know how best to deliver the finest, safest, and lowest priced underpinning services. Our customers get free quote and free consultation regarding underpinning (and associated) services. 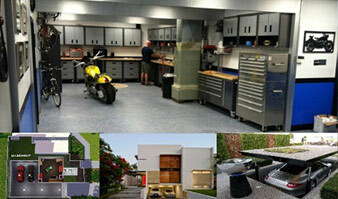 Ours is a trustworthy company providing 100% customer satisfaction and guaranteed results. We have only licensed and certified underpinners working with us. 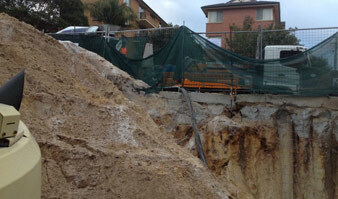 You can call us for same day and emergency underpinning services. First Choice Underpinning works 24×7, even on weekends & public holidays. Our unbeatable customer service is sure to please you beyond expectation. We are a registered building practitioner in Melbourne. Call us for a lifetime experience!